Master 2 – Doctorant.e.s – Post-doctorant.e.s – Chercheur.e.s. Within the framework of its research programming, IFAS-Research funds each year a number of research projects: collective projects, fieldworks, scientific events, publications. Nationality is not a condition for application, although the existence or prospect of a long-lasting partnership between France and Southern Africa is essential, particularly for proper bilateral projects. Special attention will be given to young researchers and collective projects. Dans le cadre de sa programmation scientifique, l’IFAS-Recherche finance chaque année un certain nombre de projets de recherche : programmes collectifs, terrains, rencontres scientifiques, publications. Aucune condition de nationalité ne s’applique mais l’existence, ou la perspective, d’un partenariat durable entre la France et l’Afrique australe est essentielle, en particulier les projets véritablement bilatéraux. Une attention particulière sera accordée aux projets des jeunes chercheur.e.s et aux programmes collectifs. 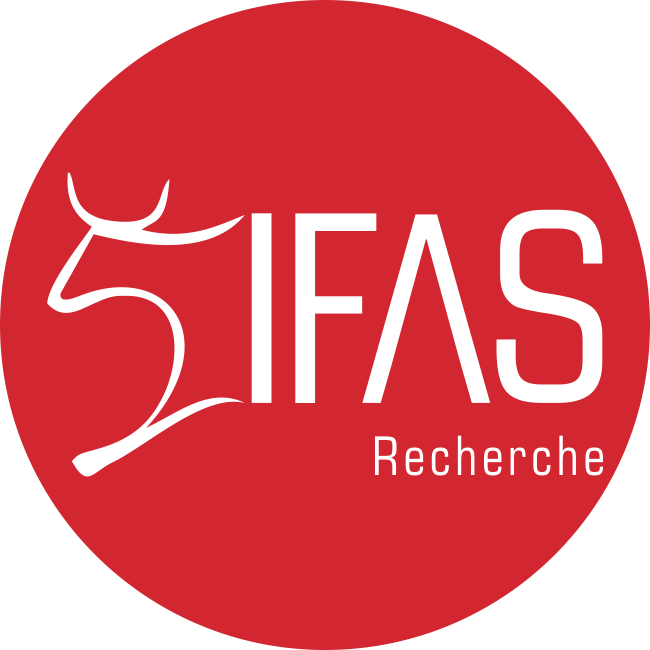 IFAS-Research is a catalyst for scientific exchange between French, European and Southern African researchers and organisations.